With the restoration of local passenger services on 8th May 1978 between Longbridge and New Street station, Birmingham's Cross-City line from Longbridge to Four Oaks was officially opened by the Secretary of State for Transport, William Rodgers. Consideration of the possibility of creating a Cross-City line began in 1970 when the newly created West Midlands Passenger Transport Executive carried out a review of railway passenger services in the area which was required of them by the 1968 Transport Act. The development of the Birmingham to Lichfield and Birmingham to Redditch lines were seen as key to the creation of a truly integrated public-transport system. A proposal to develop these two lines and provide through services via New Street was among projects submitted to and approved by the then Passenger Transport Authority in October 1971. In 1972 a general programme for the improvement of local rail services was started while a more detailed cost-benefit study was undertaken. This study published the following year confirmed that the level of travel movement inside a south-west to north-east corridor through the Birmingham conurbation fully justified the development of the Cross-City rail link with a branch to the new Frankley residential areas to the west of Longbridge. Under local government reorganisation the West Midlands County Council assumed the role of the Passenger Transport Authority in 1974 and the West Midlands PTE's designated area was redrawn to conform to the county boundaries. The effect of this measure, together with budget pressures was to concentrate development work only on that stretch of the Redditch to Lichfield line which lay within the West Midlands Metropolitan County between Longbridge and Four Oaks. This was designated as a low-cost scheme. 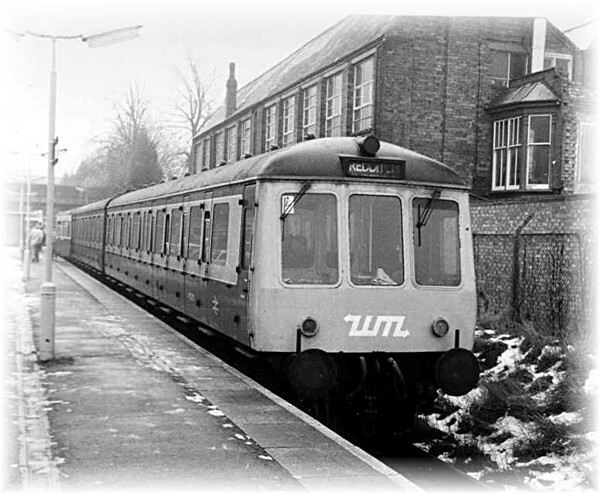 Work on upgrading the line began at the end of 1975 and by the time the new service started in May 1978 Longbridge and Northfield stations remained to be completed owing to planning delays although both were brought into use with temporary structures serving as ticket offices. To fund the project WMPTE took the opportunity to use European Funding to off set the capital costs of creating the new infrastructure for the Cross City line. With the introduction of the new Cross-City rail service, alterations were made to a number of West Midland PTE bus routes on the rail corridor following market research surveys investigating travel patterns in the Sutton Coldfield and Streetly areas, at the northern end, and in the Longbridge and Northfield areas, at the southern end. Bus rail interchanges were provided at Longbridge, Northfield and Kings Norton stations while the Walmley area to the east of Sutton Coldfield had a direct bus link to/from Chester Road station. Bus and train fares within the West Midlands were based on a common distance scale, while the then recently introduced Travelcards provided regular passengers with an unlimited number of journeys by both bus and train within designated areas. In 1972 WMPTE started to fund local rail provision and specifies the level of service it requires and as it was then British Rail and now the privatized successor London and Birmingham Railways that trades as London Midland provides it. Until privatization in 1996 the WMPTE made up the operating loss. To introduce a new intensive local service on the already busy network of rail lines in the Birmingham area necessitated some major alterations to track and signalling, including three new electrified crossovers at New Street station to improve operating flexibility. South of the city the line is double track from New Street to Kings Norton and four track to just south of Longbridge station. In the latter section, the two outer formerly freight only tracks were upgraded to passenger standard specifically for the new local service. The junction with the Camp Hill line at Kings Norton was modified and at Longbridge the junction for Halesowen was remodelled and a nine-car length turn-back siding was provided south of the junction for terminating passenger trains. In addition to the passenger trains this stretch of line still had and still does have substantial freight traffic. Whilst types of freight trains have changed back in the 1970’s there were car carrier and local freight trains between the British Leyland plant at Longbridge and the Kings Norton car terminal located in the former goods yard (much of this area is now part of the much extended station car park). This link had to be completely re-cast and new crossovers were laid south of Kings Norton to serve the car terminal. At the northern end of the Cross City line two new stabling sidings were provided at Four Oaks. Back in the 1970’s through to the 1990’s the route passes through the control areas of several signal boxes: Saltley Power Box covered the Longbridge to Five Ways section; New Street Power Box covered the section from Five Ways to Erdington via New Street station; while beyond that point the line was controlled by three manual boxes at Erdington, Sutton Coldfield and Four Oaks. New colour light signalling has been provided in the Saltley and New Street Power Box control areas in association with the track layout modifications. In addition, the line capacity between University and New Street, and between New Street and Proof House Junction has been improved by installation of additional signals. On the Aston-Four Oaks section, signals were respaced to increase line capacity and new colour light signals introduced, particularly in the Four Oaks area, to improve operating efficiency. The necessary work had to be carefully pre planned and carried out over an 18 month period on an intensively used railway without causing disruption to train services and inconvenience to passengers. A large proportion was carried out at weekends when traffic was light or trains could be diverted to other routes. A major challenge was presented by the modification required to the control panel in Saltley Power Box. A temporary panel was constructed in front of one wing of the main console from which all signalling was controlled while alterations were carried out to the main panel. The basic Mondays to Fridays service between Four Oaks and Longbridge was in 1978 four trains an hour between 0630 and 2315 (arriving/departing New Street), increased to six an hour during the morning and evening peak periods. The basic off peak services also operated on Saturdays; on Sundays the service is two trains an hour between approximately 0800 and 2300. This represented a considerable improvement on the former service, particularly south of New Street (the Birmingham to Four Oaks service consisted of two trains an hour off-peak, strengthened to five an hour during the peaks; however on the southern leg before 8th May there were only four trains each way on weekdays calling at a limited number of stations only, while there was no local Sunday service). The service was maintained by three car diesel multiple units, increased to six car formations during the peak periods: at the height of the peaks one nine-car train will run in each direction. In all, 34 units are required to operate the service (including maintenance spares). The sets are drawn from Tyseley depot's allocation of 76 three car DMUs and consisted of Class 115 and 116 Derby built high density units each with 262 seats. All the West Midlands DMU fleet was in the process of being refurbished as part of British Rail's national programme. By May 1978 28 units had been dealt with. To meet the operational requirements of the new Longbridge to Four Oaks service the West Midlands DMU fleet has been increased by 21 sets. Such a large increase in fleet size could not be contained within the existing facilities for maintenance and servicing at Tyseley depot, and major alterations had to take place in order to accommodate the additional trains. All locomotive hauled stock previously serviced and stabled at Tyseley depot was transferred to Duddeston and Oxley depots where additional sidings have been installed. This provided sufficient space at Tyseley depot for the installation of four new servicing sidings each complete with concrete walkways, electric and water servicing points and overhead lighting where trains are cleaned and prepared for their next turns of duty. Trains enter the depot via the three road DMU fuelling plant which itself has been extended by one road to assist a quick turn round. Additional capacity has been created at the traction maintenance depot by the construction of one new three car length covered extension to the main shed, equipped with full Length inspection pit. Rearrangement of the track layout has also streamlined the movements of rolling stock within the depot. For the opening of the service on 8th May 1978 new stations were built at University (serving Birmingham University and the Queen Elizabeth Hospital) and Longbridge (adjacent to the British Leyland Works) and Five Ways station which had been closed in 1944 and was rebuilt to serve the large concentration of offices in the Five Ways area and also an adjacent residential area. On the southern section the other four stations area at Bournville, Northfield, Kings Norton and Selly Oak all serve important residential areas. The new and reconstructed stations all follow a common basic design of covered walkways, platform awnings and heated waiting shelters at platform level to ensure a good standard of passenger comfort. Public toilets have also been provided at the principal interchange stations. All stations are manned continuously during the time they are open. At New Street station the new service mainly uses Platform 5 (northbound) and 12 (southbound). The increased number of trains using the station has necessitated some re-platforming and the greater use of platforms 1 and 12. There is a new entrance/exit point between Platform 12 and the adjacent Station Street for the benefit of ticket holders who require direct access to and from this part of the city centre. North of the city, the wooden trestle platforms at Butlers Lane have been extended from three-car to six-car length. At all stations along the route a public-address system has been installed. There are car parks for commuters at five stations - Four Oaks, Sutton Coldfield, Wylde Green, Kings Norton and Northfield. Car parking spaces at Four Oaks have been increased from 60 to 200, at Sutton Coldfield from 67 to 100 and at Northfield from 20 to 106. There are 45 spaces at Wylde Green and 80 in a new car park at Kings Norton. Parking in all station car parks is free. The total cost was £6.3million for track, signalling and stations and £1.1million for the depot modifications. Approximately £4million of the total expenditure relates to work carried out by contract and the remainder by railway staff. Services to Redditch continued at that time as a "Pay train" commuter service. The Redditch branch from Barnt Green to Redditch had survived a number of attempts to close it the last being on 9 August 1965. The previous year the experimental hourly DMU service that had started in April 1960 was withdrawn. In May 1980 history repeated itself and following pressure by the Hereford and Worcester County Council, Redditch Borough Council and Redditch Development Corporation a new hourly experiment service to Redditch was introduced with the County Council off setting the losses. Usage of the service grew steadily so that by the 1990’s the line was benefiting from not only a half-hourly daytime service but also both an evening and Sunday facility that had been introduced in May 1989. The WMPTE which had by now adopted the corporate name Centro had attempted to get the Cross City line electrified for a number of years. Various ideas were looked at including electrifying just the line within the West Midlands and providing diesel linking services to both Redditch and Lichfield. A break through came in 1990 when it was found that by the use of regenerative braking on the trains would theoretically put electric power back into the system. In simple terms when the brakes are applied the electric motors on the electric train run in reverse and act as generators. Using this system and a new design of electric multiple unit (now known as the Class 323) a financial case to electrify the whole Lichfield to Redditch line was drawn up. After months of waiting for a decision it was made on 7th February 1990 by the then Transport Minister Cecil Parkinson coincidentally during the campaign for a by-election in the Lichfield constituency. The first electrification mast first planted at Erdington on 20th May 1991 and electric services started between Birmingham New Street and Lichfield on 30th November 1992. Significantly the 1000th electrification mast was planted at Redditch at the most southerly point on the electrification project. With the electrification the three remaining manual signal boxes at Erdington, Sutton Coldfield and Four Oaks were closed when the this section of the line was re-signalled as part of the electrification works and a new mini power box was opened at Duddeston using the shell of an old manual signal box because there was not enough space in the Aston Power Box to accommodate the additional route mileage. All this was superseded in the early 2010’s when the new Saltley Signalling centre can into use and all signalling was progressively transferred to this centre the section including the Redditch branch was transferred over on 6th November 2016. New Service starts to Redditch and Lichfield The whole line from Lichfield to Redditch was energized on 6 June 1993 after the use of a Class 86 electric locomotive on the Redditch branch as a load bank tester to ensure the system could cope with current draw by the trains. Electric services finally started to Redditch on 12th July 1993. Initial problems with the new Class 323 electric units meant that older Class 304 and 310 units were retained together with some of the DMU reformed to remove the trailer cars so that they could theoretically run to electric train timings. A number of Class 308 units which were basically the same as the Class 304’s were drafted in. These units were in the process of being refurbished for the Leeds and Bradford electrification project and ran in the West Midlands in West Yorkshire PTE Metro Red and Cream livery. It was not until 1994 that full Class 323 started. After a number of delays work finally stated in March 2014 on a new four platform station for Bromsgrove which could become the terminus of alternate cross city trains, the others going to Redditch. The new £24 million station finally opened on 12 July 2016. Work started during 2016 on the electrification of the 9 kilometres (5.6 miles) rail line from Barnt Green to Bromsgrove with the reconstruction of four over bridges between Barnt Green and Bromsgrove and the pedestrian foot bridge at Barnt Green station. Work is currently being carried out to installed the electrification masts and wires before the planned introduction of the new train service in December 2017 at the earliest.